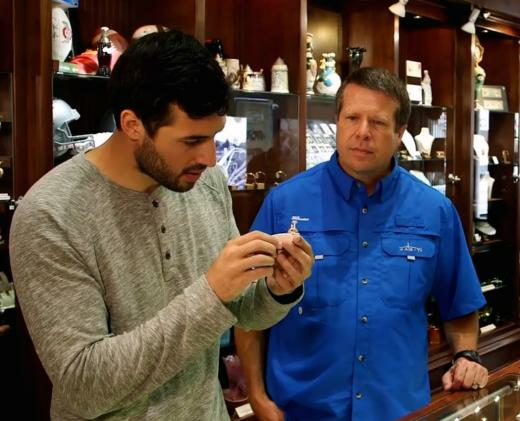 Jeremy Vuolo Goes Engagement Ring Shopping … with Jim Bob Duggar & Ben Seewald! 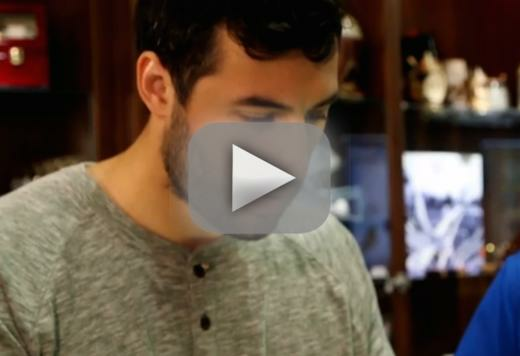 Jinger Duggar’s soon-to-be husband Jeremy Vuolo is gearing up to put a ring on it, and we’ve got a new Counting On clip to prove it! In a brand new sneak peek at Tuesday’s installment of the TLC reality hit, Jinger’s man gets down to the business of popping the question. To do that, of course, Jeremy will need a ring. Not just any old ring, mind you, but THE ring. And to get that, Vuolo will need some advice. Not just any advice, mind you, but sage advice. Where, oh where, will he reap such wisdom?! Enter Jeremy’s soon-to-be father-in-law Jim Bob Duggar (because that’s totally not weird at all), and future brother-in-law Ben Seewald. 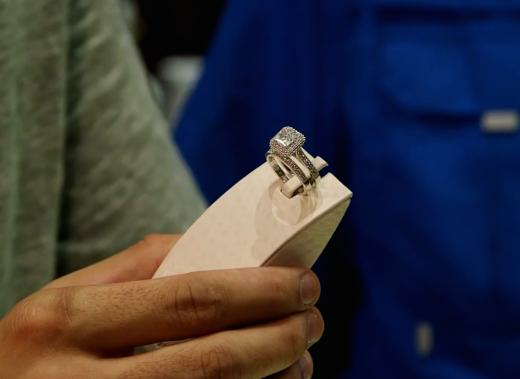 “I’m browsing today, just to get an idea for the future about what some of these rings could look like,” Vuolo says, totally off the cuff. The producers trying to make Duggar Nation watch Counting On online had no role in this not-at-all contrived trip to the shop. Nosiree. As for what he’s looking for, he has some idea already. “Something I really love about Jinger is [that] she’s simple, but very elegant,” says the former soccer pro and certified hunk, 29. For a young man, Mr. Seewald had some wise, mature words. “What matters the most is that you thought about it,” Ben said. Hard to argue with that … or with a woman’s point of view. 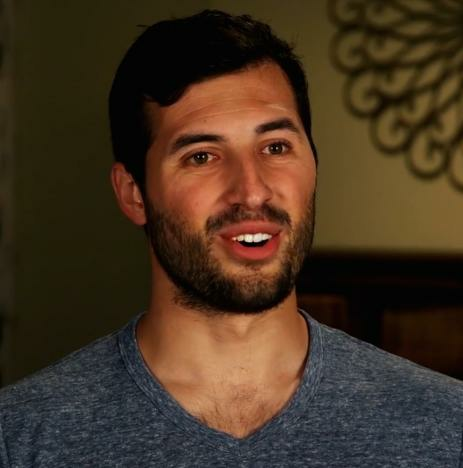 “Jessa gave me a couple tips that [Jinger] likes a princess cut and the white gold,” he says, and now we’re really getting somewhere. “Very early on, Jessa had told me Jinger’s ring size,” he said. Clearly, with the exception of Anna Duggar, the women call the shots more in the Duggar households than we might think. And then it happens, just like magic from the universe. Or the producers. Either way, Vuolo just so happens to find a princess cut that was Jinger’s size and refuses to let it go. “It was her size, no wonder it was screaming at me that it was perfect for her,” he says … does that mean tonight is the night? That we’ll see the proposal before our very eyes, that is? One has to assume, given the extent to which Jinger and Jeremy break courtship rules, that they are fast-tracking this thing. Taking it slow is a good mentality, one many people should emulate, regardless of their faith or religious/moral convictions. It makes a lot of sense. Sometimes, though, when you know, you know, and you gotta move on from the side hugs for good. David Mueller: Polygraph Me! I Never Grab-Assed Taylor Swift! Khloe Kardashian Throws MAJOR Shade at Tristan Thompson & Jordyn Woods! Kim Kardashian BLASTS the Media: Kanye Isn’t Unstable! He’s a Genius! !